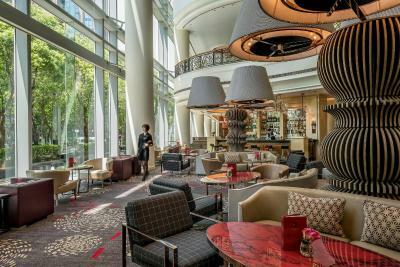 Lock in a great price for Four Seasons Hotel Shanghai – rated 9 by recent guests! We love the service. Billy our Guest Relationship Manager really represented Four Season beyond our expectations. With his service and the team, we definitely will refer our friends to stay there! Location and price is excellent. Service is good. We even got little Christmas present. Very nice surprise. Staff is very tentative. Excellent stay all around, as expected of a Four Season. Friendly, helpful staff, fantastic facility, room service were always on-point. 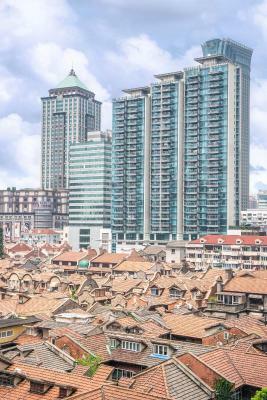 I currently live in Suzhou and travel a lot to Shanghai for business. 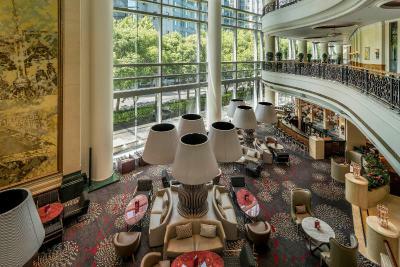 i have been staying at different hotels very time i have been there, however this has been the best experience that i have had so far at a hotel in Shanghai. 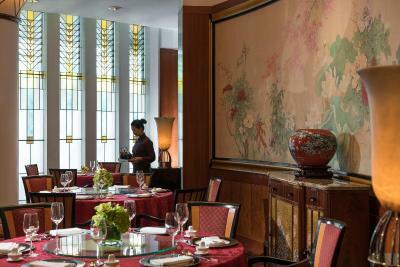 i have stayed at Shangri La, St Regens, Marriot, and several others, however Four Seasons has been the best. i have not been loyal to any of the hotels that i have stayed at in Shanghai, however i will from now on always choose Four Seasons whenever i am in Shanghai. I personally Think that you have nailed the cosyness aspect especially now during Christmas. Thank you for an terrific experience and i look forward to staying with you again. 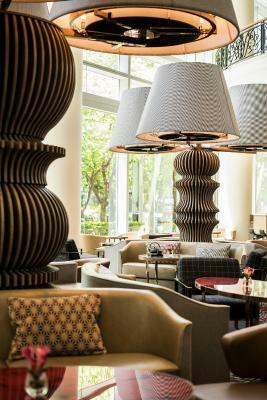 I like the location and the ambience of Four Seasons hotel as always. We got a VIP treatment from the moment we stepped into the lobby until we left at checkout. The service in this hotel is above all, from the doormen to the GM you are catered at all times, always with a smile. 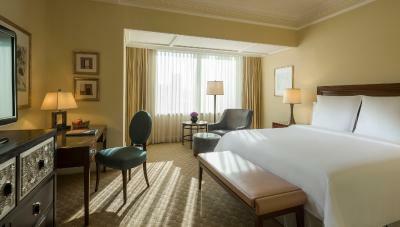 The executive lounge and fitness center are the main reasons why we love this property. 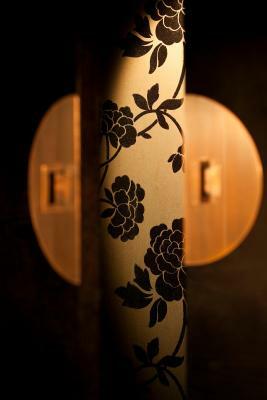 The service and its facilities made our stay worthwhile and a total value for our money. Got upgraded to a nice suite. Really good location. Helpful staff. Everything! The staff were friendly and attentive. The service was exquisite. Dinner was fantastic. Check-in and Check-out were super fast. The hotel upgraded my room, free of charge, solely because my booked room wasn't ready. 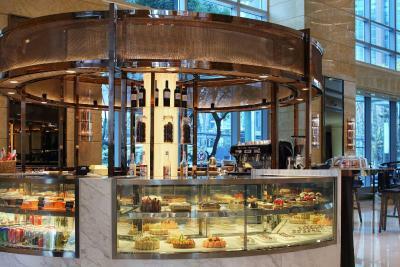 I recommend this location to anyone wanting to make the most of a visit to Shanghai! 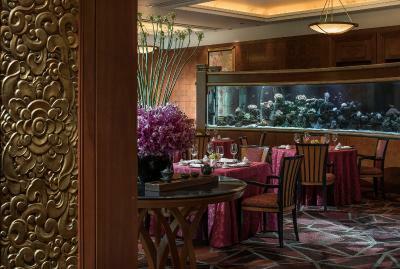 Boasting sumptuously decorated room, first-rate fitness facilities, beauty salon and gourmet cuisine across 4 stylish restaurants, Four Seasons Hotel Shanghai is located in the heart of the bustling metropolis. 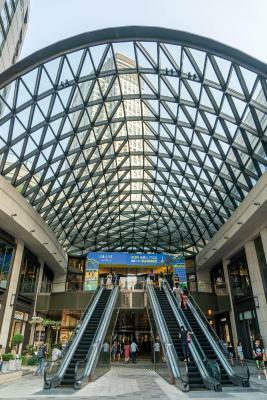 It is 1,950 feet from West Nanjing Road Subway Station (line 2), 650 feet from newly built Subway Station (Line 12 & 13), providing easy access to many attractions of Shanghai. 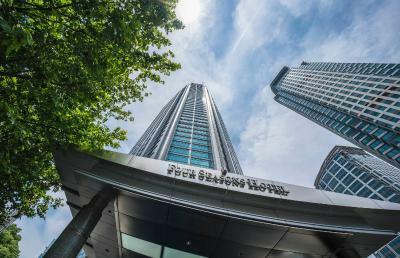 The 37-story Four Seasons Hotel Shanghai is surrounded by many popular shopping centers, including Meilongzhen Plaza, Plaza 66, HKRI Taikoo Hui Shopping Mall and so forth. 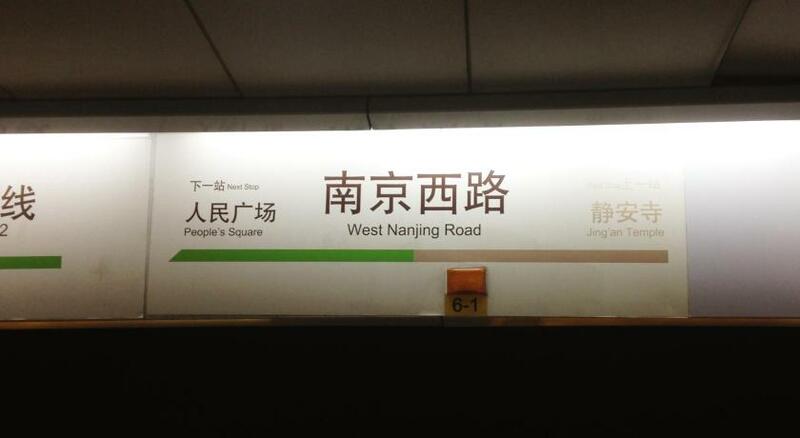 It is a 15-minute stroll from Huaihai Middle Road, a 10-minute drive from People’s Square. 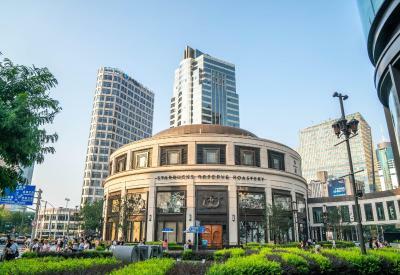 Hongqiao International Airport and Railway Station is a 30-minute car journey away. 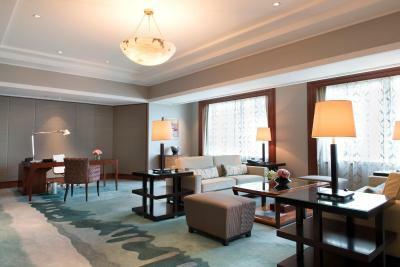 Spacious rooms at Shanghai Four Seasons offer the comfort of a flat-screen TV, ipod docking station and DVD player. 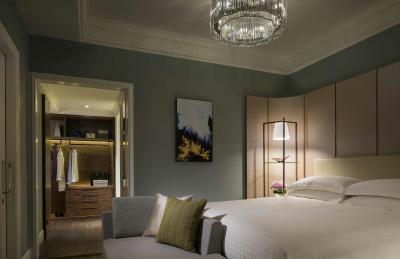 The luxurious linens and fabric, classic furnishings in calming neutrals and works of art create an elegant atmosphere. The bathrobes and superior toiletries are stocked in the bathrooms. Wheelchair-accessible rooms are available on request. For an indulgent experience, guests can enjoy the use of steam and sauna facilities after active workouts in the indoor pool. The hotel provides a wide range of services, such as babysitting, laundry and ticketing services. 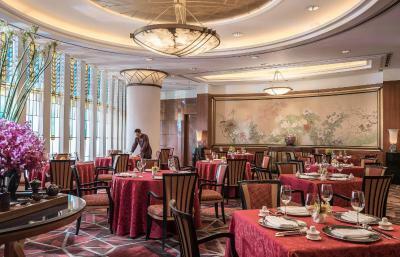 Consisting of various culinary concepts, Hearty international buffets are served at Café Studio while Si Ji Xuan offers Cantonese delights. Other dining options include Steak House. 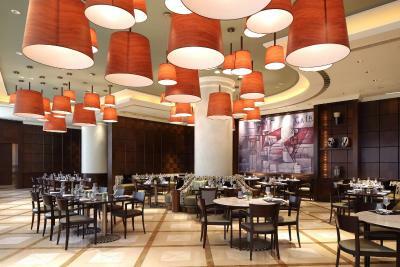 Alternatively, guests can enjoy refreshing beverages at the Lobby Lounge. 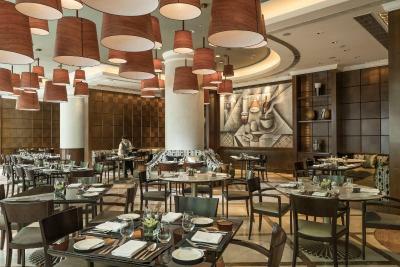 Lobby offers an exclusive range of dining experiences in a stylish setting. 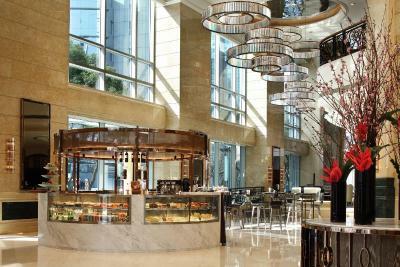 The Qi Coffee & Bar, Lobby Lounge and Café Studio compose the lobby dining area. 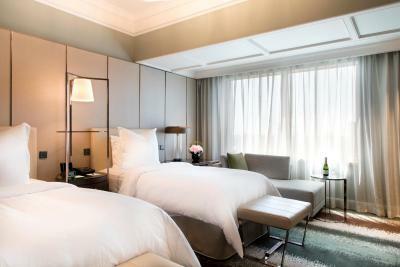 When would you like to stay at Four Seasons Hotel Shanghai? Located on floors 7-21, air-conditioned room comes equipped with a mini-bar, a flat-screen satellite TV with CD/DVD player and an iPod docking station. It offers a king-sized bed, a safety deposit box, a sofa and interconnecting room available. The private bathroom includes a bathtub. Public parking is available on site (reservation is not needed) and costs CNY 120 per day. 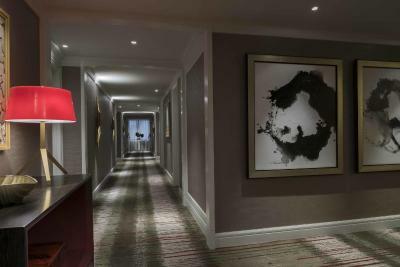 Located on floors 7-21, air-conditioned room comes equipped with a mini-bar, a flat-screen satellite TV with CD/DVD player and an iPod docking station. It offers 2 single beds, a safety deposit box, a sofa and interconnecting room available. The private bathroom includes a bathtub. Located on floors 9-10, air-conditioned room comes equipped with a mini-bar, a flat-screen satellite TV with CD/DVD player and an iPod docking station. It offers 2 single beds, a safety deposit box, a sofa and interconnecting room available. The private bathroom includes a bathtub. Located on floors 22-36. suite features a separate living room with a sofa. 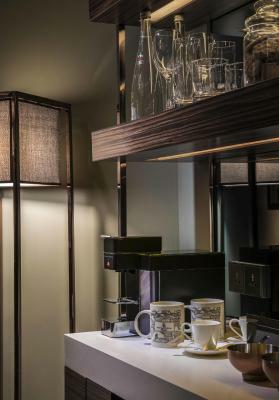 It comes equipped with a mini-bar, a flat-screen satellite TV with CD/DVD player and an iPod docking station. 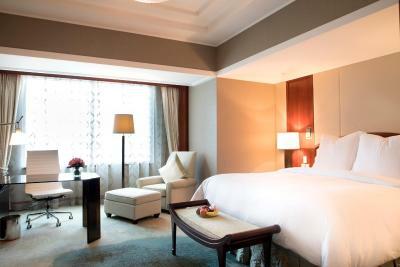 It offers a king-sized bed, a safety deposit box and interconnecting room available. The private bathroom includes a bathtub. Please note that extra bed is not allowed in this room. 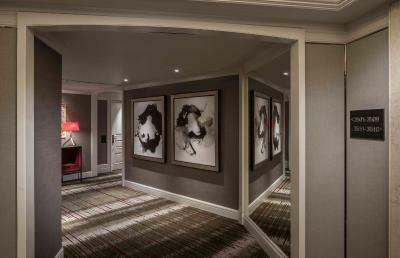 Located on floors 25-36. suite features a separate living room with a sofa. It comes equipped with a mini-bar, a flat-screen satellite TV with CD/DVD player and an iPod docking station. It offers 2 single beds, a safety deposit box and interconnecting room available. The private bathroom includes a bathtub. 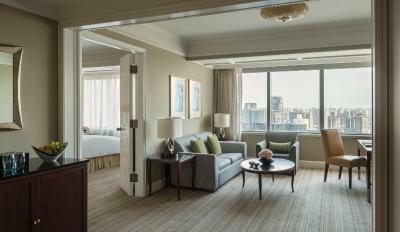 Located on floors 17-35, suite features a separate living room with a sofa. It comes equipped with a mini-bar, a flat-screen satellite TV with CD/DVD player and an iPod docking station. 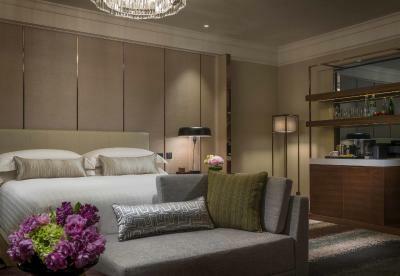 It offers a queen-sized bed, a safety deposit box and interconnecting room available. The private bathroom includes a bathtub. On floors 29-34, suite features a separate living room with a sofa. 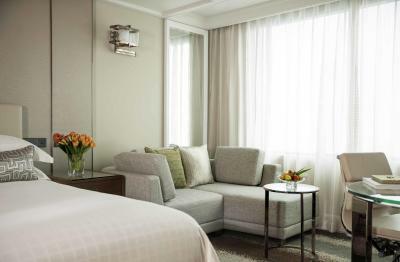 It comes equipped with a minibar, a flat-screen satellite TV with CD/DVD player and an iPod docking station. A king bed and a safe are provided in the bedroom. 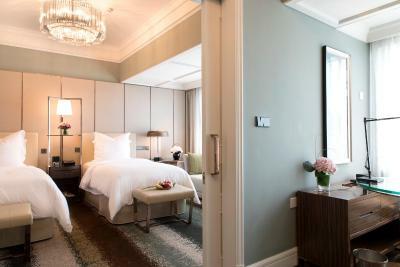 Suites can also be connected to deluxe rooms. The private bathroom includes a bathtub. On floors 29-34, suite features a separate living room with a sofa. 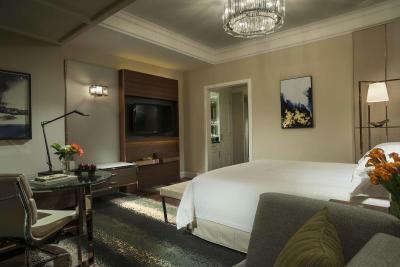 It comes equipped with a minibar, a flat-screen satellite TV with CD/DVD player and an iPod docking station. Two single beds and a safe are provided in the bedroom. 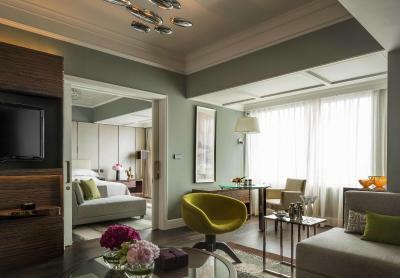 Suites can also be connected to deluxe rooms. The private bathroom includes a bathtub. 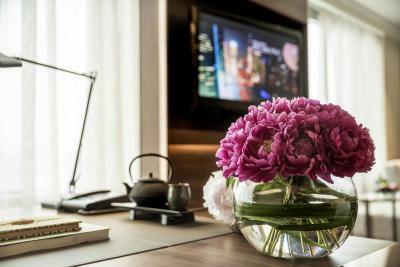 Located on floors 22-36, air-conditioned room comes equipped with a mini-bar, a flat-screen satellite TV with CD/DVD player and an iPod docking station. It offers a king-sized bed, a safety deposit box, a sofa and interconnecting room available. The private bathroom includes a bathtub. 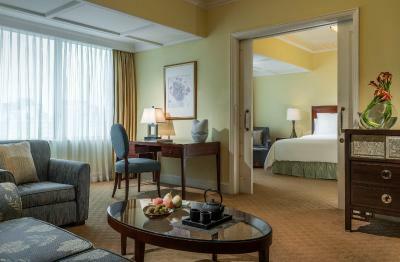 Located on floors 22-35, air-conditioned room comes equipped with a mini-bar, a flat-screen satellite TV with CD/DVD player and an iPod docking station. It offers 2 single beds, a safety deposit box, a sofa and interconnecting room available. The private bathroom includes a bathtub. 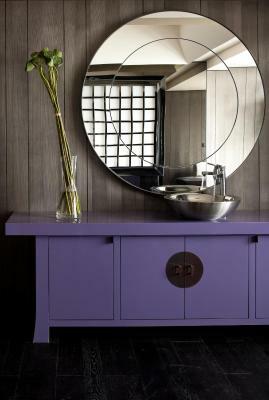 Located on floors 22-35, this double room has mini-bar, CD player and DVD player. 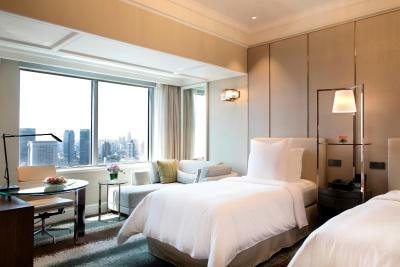 Located on floors 32-35, this twin room features bathrobes, mini-bar and CD player. 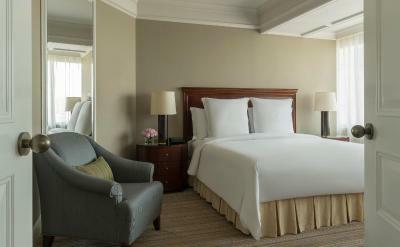 Located on floors 7-21,this suite features air conditioning, sofa and mini-bar. 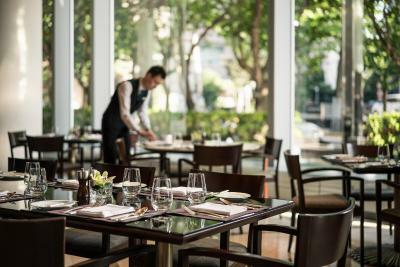 House Rules Four Seasons Hotel Shanghai takes special requests – add in the next step! 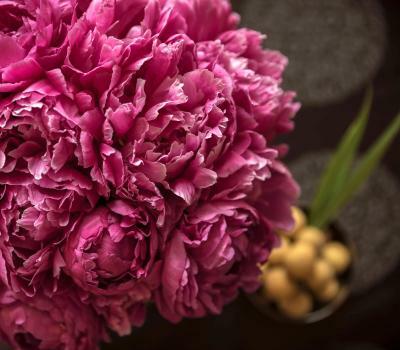 Greatwall Peony Dragon Jin Four Seasons Hotel Shanghai accepts these cards and reserves the right to temporarily hold an amount prior to arrival. 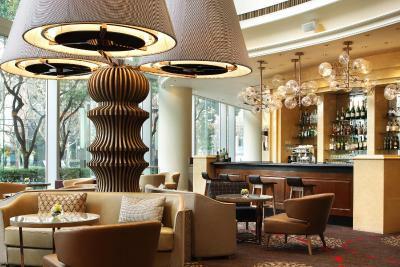 Four Seasons Hotel Shanghai accepts these cards and reserves the right to temporarily hold an amount prior to arrival. Please note that smoking is strictly prohibited on site. 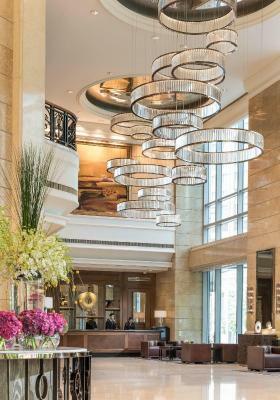 Hotel staff is excellent from doormen, bellmen, concierges, front desk, wait staff and mgmt. The door couldn't be latched open when entering or leaving the room. Friendly, professional staff who were sympathetic although we both had stomach bugs. Gym facilities opened early. Very efficient concierge at getting taxis and helping with luggage. 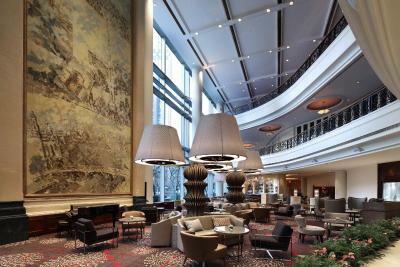 Nice hotel but the interior, specially the rooms, need a reformation. Too old for a 5 star Four Seasons hotel in my opinion. Staff was great and extremely helpful. Very nice lounge and great internet connection (which isnt obvious in China). Everything about the hotel. The location, cleaniness and service. 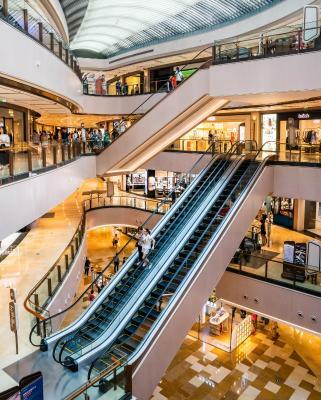 The hotel is just beside Taikoo which offer shoppers lots of good selection and restaurants and its very convenient if you need last minute shopping. there was a stain on a floor, and I stepped on it, and my foot was stained. Central air con, cannot tune to desired temp. Great business hotel and excellent value for money. 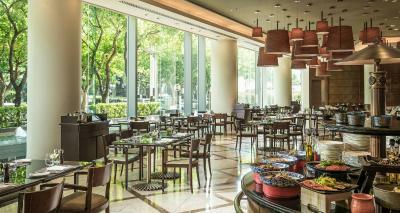 exceptionally good lobby bar menu and service, perfect for meetings. Curtains, bathroom taps & swimming pool towels perhaps a bit worn out. Breakfast and overall services were excellent, and rooms were spacious with comfortable beds.